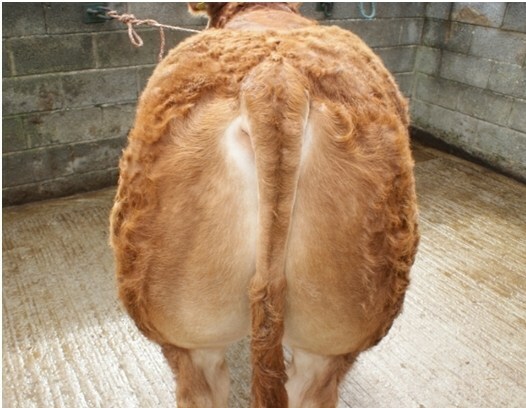 The only male embryo calf out of Sherry Uricka (by Jockey) who was Overall Female Champion at Carlisle Limousin Ladies Day May 2005, and sired by Wilodge Vantastic (by Wilodge Tonka and out of the famous french cow Ravenelle). Vantastic was Overall Male Champion at Carlisle May 2006. Two excellent daughters from Uricka are retained in the herd, one being full sister to East Yorkshireman. 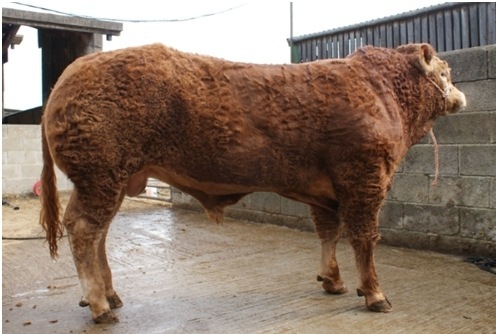 He is long, shapely and very stylish with excellent EBV Growth and Muscle figures and a Beef Value of LM+33. His dam line is exceptionally easy calving and his temperament is simply perfect, the quietest animal we have ever come across. 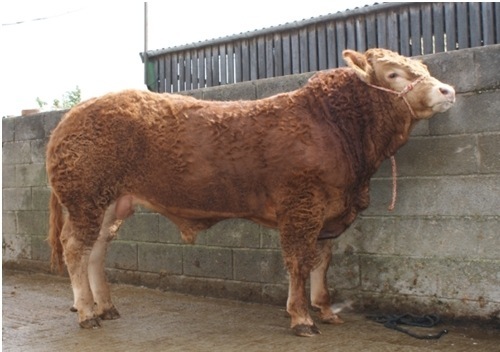 He is heading to Carlisle Feb 2011.